With technology now omnipresent in our lives, it is possible to collect data such as our speech, heart rate and brain waves non-invasively whenever and wherever we are. Dr Beena Ahmed works at the crossroads of health and technology, applying machine learning algorithms on this data to improve our lives. These algorithms can warn us if we are at risk of dementia or insomnia, give us feedback on whether we are doing our speech therapy or language learning exercises correctly, and help us regulate our stress levels. 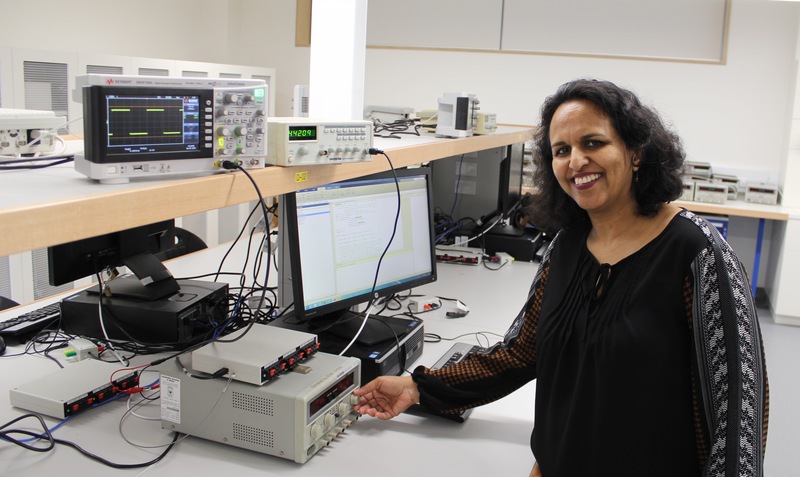 Beena is currently a Senior Lecturer at the School of Electrical Engineering and Telecommunications in the University of New South Wales, where she received her PhD in 2004. Not only is she an accomplished researcher but also a talented educator, having produced over 80 publications in engineering and engineering education and secured $7.5 million in international competitive funding. Beena is passionate about not only attracting girls to the field of engineering but also mentoring them to stay. She has been an advisor for Women in Engineering student groups and developed mentorship and leadership development programs for these students. She also created design-based engineering outreach activities to attract female high school students specifically.